There are three limited edition eyeshadows from this collection, and all of them look stunning. The shade I have is Plum Diddy (a name I love) and is stunning deep purple, that almost comes off black but it's packed with purple/pink micro-shimmer. They are cream shadows and are aimed to be 'foil finish' much like the Stila Magnificent Metals. 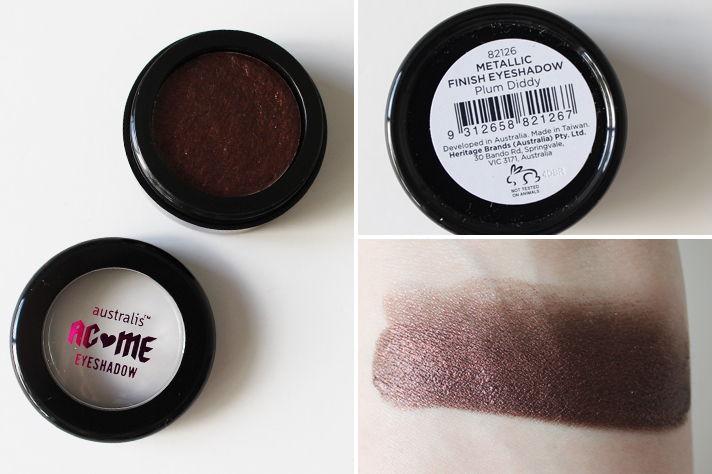 The formula is unlike other cream shadows, and it feels very wet and almost spongy in texture. I find the best way to work with this is getting a small bit on my index finger and patting the colour directly onto the lids, concentrating it near the lashes and then going in with a fluffy brush to blend out the edges and soften the colour. You can go really intense with this, or keep it quite sheer, which I prefer for every day. They take a couple of minutes to set down onto the lid, but after that, they don't budge, with no creasing at all and this lasts me through a whole day of work with no problems. 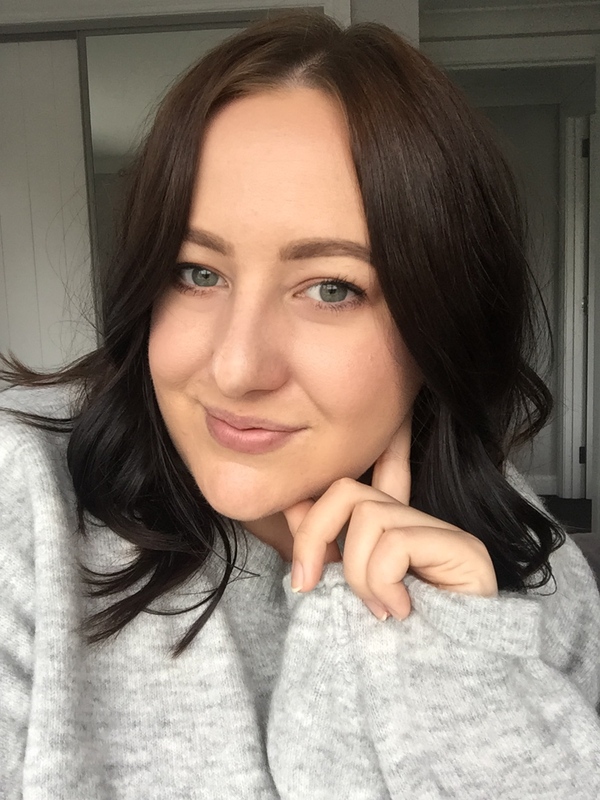 I absolutely adore the Velourlips range, I have two shades already Ma-Li-Boo (see it here) and Pa-ree (in a Most Loved here, and a shade I wear on the daily, it's actually what I have on in my profile image!) 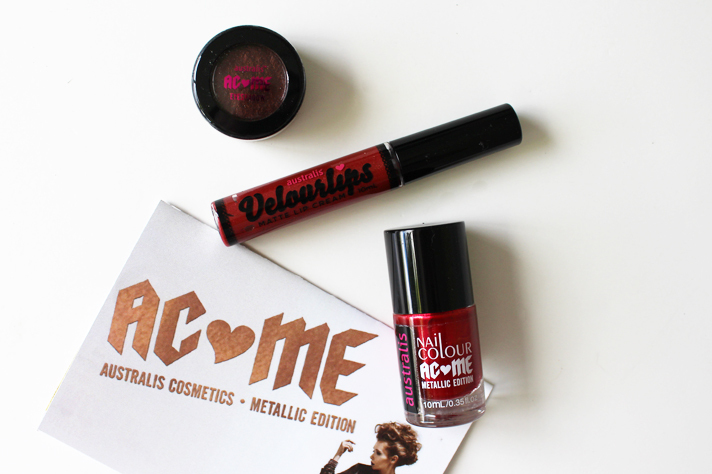 Instead of sticking with the same flat colour, they have amped up the three shades in the Metallics Collection with a bit of shimmer and glitter. 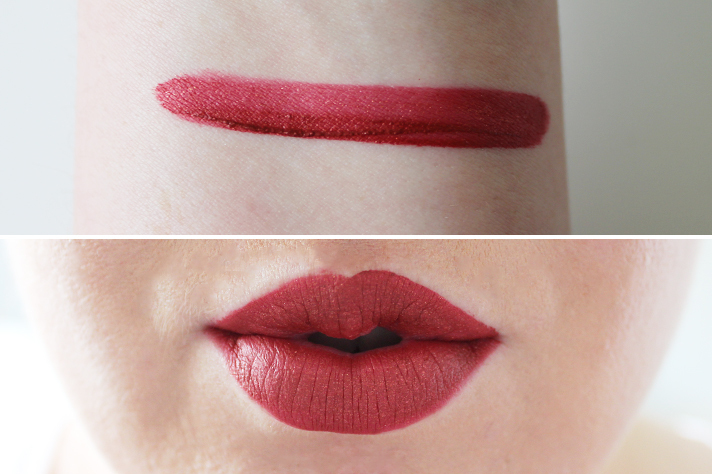 At first, I wasn't sure I'd be keen for it, but with this shade I kind of love it! The glitter is gold toned and enhances the deep red of this particular shade and it's going to be a gorgeous one during Autumn! 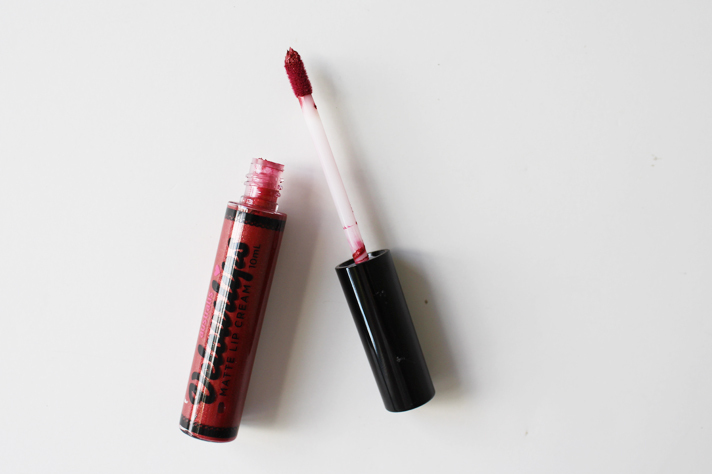 These go on extremely pigmented and they dry down to a totally matte finish (dry lips, beware! ), but they last for yonks on the lips and you don't have to worry about reapplying, or worrying if you have lipstick on your teeth! 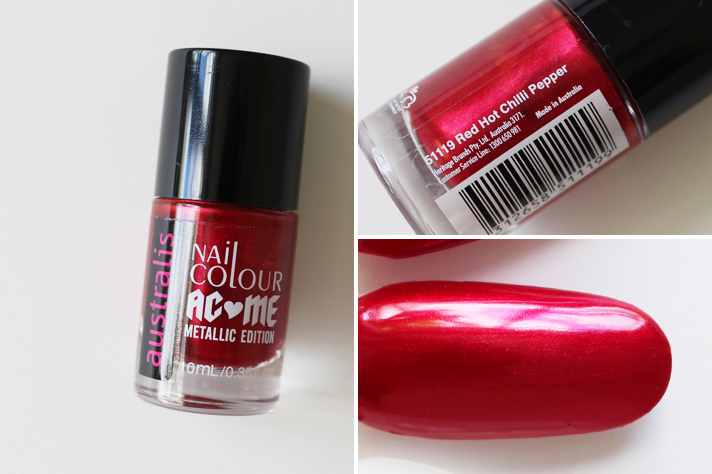 I only own a handful of Australis polishes and don't use them often but this shade might just change that! It's going to be a great one for Christmas and it feels very festive with the golden shimmer throughout the bright red base. This swatch shows two coats, but it was pretty much opaque on the first coat. This will definitely be cropping up in a NOTD soon! If you like the look of this collection, you better grab some of them quick before they disappear! It is available at Farmers and selected pharmacies in NZ, and if you are in Australia you can buy direct online from the website (unfortunately they don't ship outside Aus though). The prices for the quality of this collection is absolutely knockout and if you pick up one thing, make it one of the Eyeshadows! What do you think about the Metallic Collection? Have you got any of the limited edition items yet?